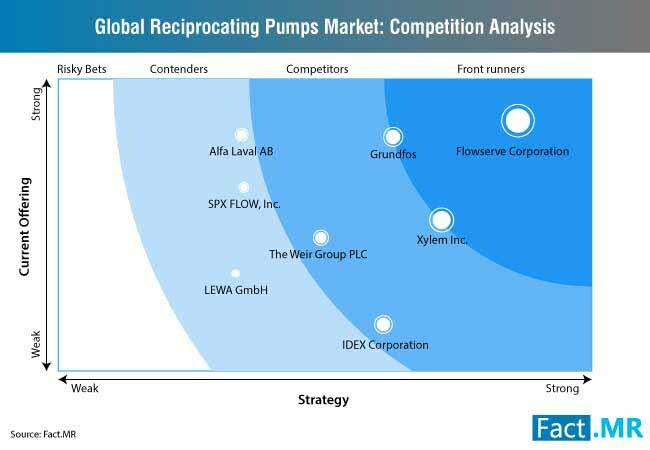 Top companies operating in the reciprocating pumps market are focusing on expanding their global footprint by opening new facilities and entering into partnerships with regional players. Flowserve Corporation, one of the leading companies in reciprocating pumps market, received an order worth $80 million to supply pumps and ebulators for Hengli Integrated Refining Complex Project in China. Meanwhile, Grundfos, another prominent player in the market, is planning to set-up a third pump production unit in India by 2020. Fact.MR’s study offers incisive insights on the reciprocating pumps market. A summary of the report is available upon request. By 2023, the demand for oil is expected to reach 104.7 mb/d, up 6.9 mb/d from 2018, according to International Energy Agency (IEA). Moreover, China and India are likely to account for nearly 50% of the global oil demand by 2023. Petrochemicals are the key driver for fastest growing oil demand globally. The US oil supply is likely to grow in the coming years with significant growth in Light Tight Oil (LTO) production. Reciprocating pumps are widely used in the extraction of oil and other natural resources to meet the growing demand of the petroleum industry in the US. As per the Moody’s 2018 outlook, drilling and oilfield service companies’ earnings are likely to increase 10-12%, owing to the continuous rise in global rig count and upstream capital spending. The introduction of Petroleum Chemicals Petrochemicals Investment Region Policy in India, the FDI investment in oil and gas sector is likely to increase. This is expected to increase the production of polymers and petrochemicals in the country, thereby, fueling the demand for reciprocating pumps. The chemical industry uses a wide range of diaphragm pumps, a type of reciprocating pumps owing to its ease of handling most aggressive, and flammable fluids. The demand for double diaphragm pumps also known as Air Operated Double Diaphragm (AODD) is increasing in the chemical sector. AODD manufacturers are focusing on offering the user the control of pump’s pressure discharge, safe design to facilitate pumping aggressive chemicals, providing minimal moving parts on the pumps, thereby, eliminating the risk of mechanical problems and ensuring easy installation and maintenance. With technological advancements, the electric double diaphragm pump has recently been introduced for chemical pumping applications. The new product combines diaphragm pump technology with electric drives that reduce energy consumption, operating costs and increases pump control. 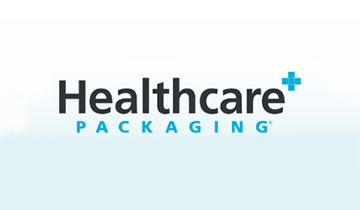 Rise in pharmaceutical and petroleum operations worldwide is also driving the demand for diaphragm pumps. 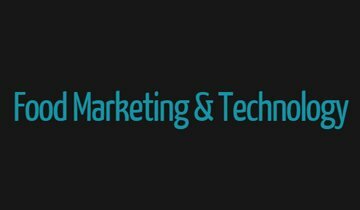 The pump market is witnessing a growing trend of implementing new technologies such as Industrial Internet of Things (IIoT), artificial intelligence, and Big Data. Owing to the volatile nature of the pump market in the last few years, manufacturers in reciprocating pumps market and other pumps are focusing on offering smart pumping system to minimize profits. Manufacturers of reciprocating pumps and other pump suppliers are focusing on developing connected pumps providing ability to regulate and monitor pump efficiency, leading to the improvement in energy and uptime efficiency. Pump manufacturers are also adding sensors to the pumps to capture key parameters including temperature, pressure, and liquid levels. Sectors including commercial buildings, water and wastewater, and oil and gas are expected to be the biggest adopters of smart reciprocating pumps. Pump manufacturers are offering smart pumping systems to provide real-time updates. These systems are expected to eliminate the unexpected breakdown and also reduce overall maintenance cost of reciprocating pumps and other pumps. The demand for reciprocating sucker rod pumping system is also growing worldwide as the most common artificial methods for onshore wells. This is resulting in the integration of remote monitoring and control technology in sucker rod pumping system by the manufacturers in the reciprocating pumps market. The high maintenance and installation cost and short lifespan of reciprocating is limiting the growth of reciprocation pumps market worldwide. Moreover, an increasing number of manufacturers in various industries are shifting from reciprocating pumps to installing centrifugal pump due to the high cost of reciprocating pumps as compared to centrifugal pumps. Reciprocating pumps also require a lot of maintenance in order to keep it functional for a long period of time. Moreover, reciprocating pumps also frequently require pulsation dampeners due to the pulsating nature of the flow resulting in the additional cost. The materials used in designing the reciprocating pumps are more and frictional losses by the piping system require larger motors, pumps, and power supplies. This adds to the cost of installation making it more expensive. Another biggest problem faced by various industries using reciprocating pumps are violent piston movement creates pulsation within inlet and outlet of pump causing damage. However, manufacturers in the reciprocating pumps are focusing on providing damper to counter pulsation issue. The report on the reciprocating pumps market provides detailed profiles of the key players in the market along with the information on their market share. The study also includes a dashboard view of the leading players in the reciprocating pumps market. SWOT analysis, new developments, product portfolio, business strategies, of the leading players are also provided in the report on reciprocating pumps market. Grundfos has opened a new facility in Florida, US. 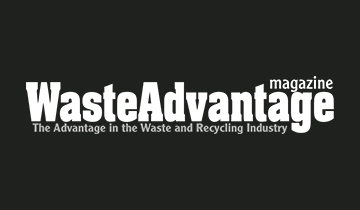 The company plans to serve water and wastewater industry with its leading solutions. The new facility in Florida will be a distribution hub for the company providing water and wastewater pumps, controls, and other accessories. Xylem Inc. has signed a Memorandum of Understanding (MoU) with Ministry of Water, Irrigation, and Energy in Ethiopia to help advance water security. Wilden®, a part of Pump Solutions Group has launched a new V150 13mm (1/2”) velocity series pump. The pump is also available in 6mm (1/4”) size featuring a bore-seal design, eliminating leakage problem resulting from torque decay. For full coverage of the competitive landscape in the reciprocating pumps market, get in touch with our experts. A reciprocating pumps uses backward and forward movement to move the fluid. Reciprocating pumps are used to handle abrasive and viscous fluids. These pumps offer higher efficiencies resulting in less horsepower usage. Reciprocating pumps are largely used for high-pressure and low-volume application. Plunger pump, piston pump, and diaphragm pumps are the type of reciprocating pumps. The report on the reciprocating pumps market provides key insights and a detailed analysis of the market at the global level and across key regions. 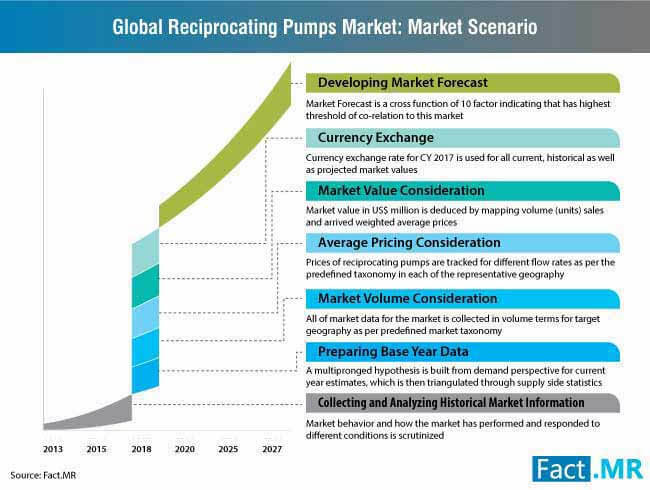 The study also focuses on the factors impacting the growth of the reciprocating pumps market. Some of the important factors included in the report are new developments, regulations, on-going research activities, and use of new technologies by manufacturers in the reciprocating pumps market. The reciprocating pumps market is segmented on the basis of type, flow rate, and end-use industry. 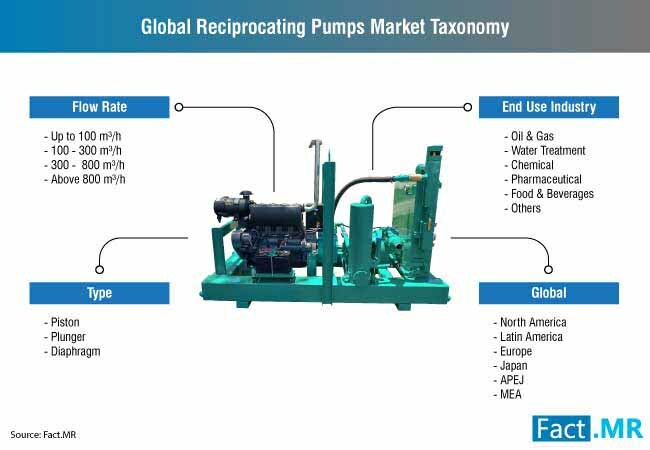 The key segments are further divided into sub-segments to provide better understanding of the reciprocating pumps market. Based on the type, the reciprocating pumps market is segmented into Piston, Plunger, and Diaphragm pumps. On the basis of flow rate, the market segmentation includes Up to 100 m³/h, 100 - 300 m³/h, 300 - 800 m³/h, and Above 800 m³/h. 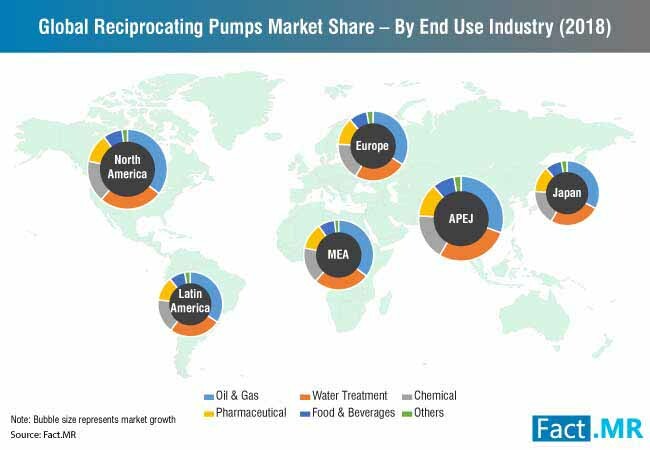 in terms of end-use industry, the reciprocating pumps market is segmented into Water Treatment, Oil & Gas, Chemical, Food & Beverages, Pharmaceutical, and Others. The report on the reciprocating pumps market provide answers to some additional questions. 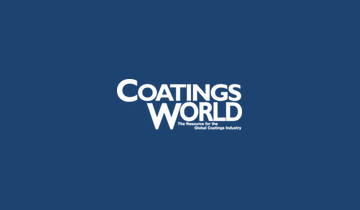 Which will be the most dominating region in the reciprocating pumps market? Which type of pump will account for the highest revenue share in the reciprocating pumps market? What will be the volume share of oil and gas industry in the reciprocating pumps market? What are the factors hampering the growth of the reciprocating pumps market? A unique research methodology has been used to provide valuable insights and forecast on the reciprocating pumps market. Primary and secondary research was done to offer important data and factors playing an important role in the reciprocating pumps market. As a part of the research on the market, interviews were conducted with reciprocating pumps market experts to get insights on the market. 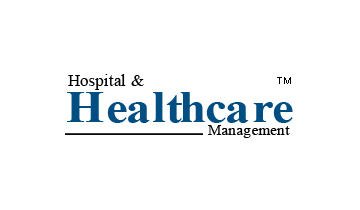 The numbers provided in the report are based on in-depth research and valid data sources. The information on the growth opportunities in the reciprocating pumps market is based on both primary and secondary research.